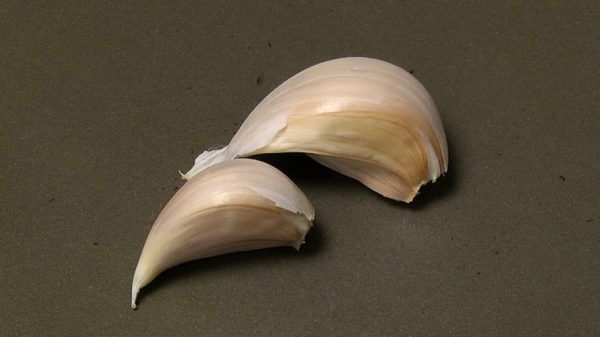 Garlic is used in a variety of cuisines and recipes. While many people associate garlic with southern Italian cooking, it is also used in French, Asian, Indian, and Mexican cooking. The flavor of raw garlic can be overwhelming. Garlic added too soon to hot oil or cooked too long can burn and taste bitter. Like onions, cooking garlic mellows the flavor. Toasted or roasted garlic is replacing raw garlic in many recipes like pesto and salad dressings. Professional chefs and some home cooks with roast one or more heads of garlic. Most home cooks only need a few cloves. When that is the case, Pan Toasted garlic cloves are a convenient substitute for oven roasted garlic. Pan toasting quickly converts pungent, firm raw garlic into soft, sweet garlic. The cloves are so soft, you can crush them using your fingers. Since cloves are toasted unpeeled (skin on), you can use any skillet including cast iron. 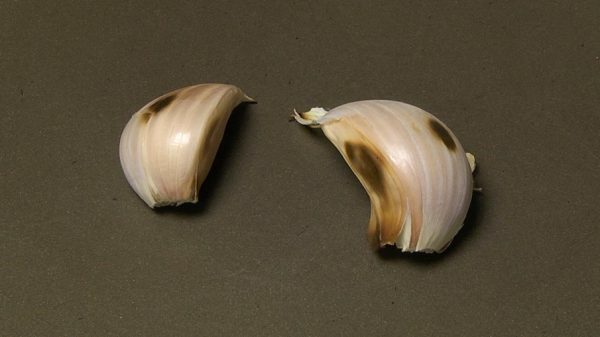 Garlic can be used with dark, burnt, spots for a smokey flavor or you can remove the dark areas. 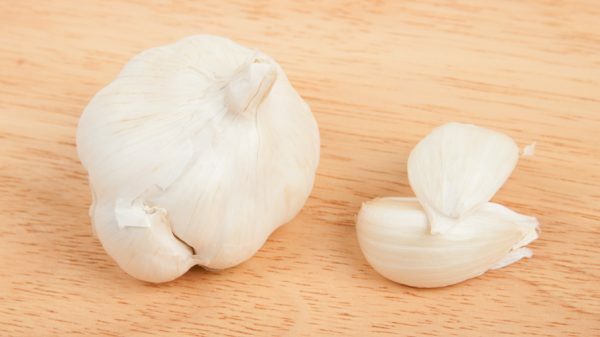 Toasted garlic has the same nutrition values as raw garlic. Place unpeeled garlic cloves in a skillet over medium to medium high heat. Toast cloves about 5 minutes, occasionally shaking skillet or turning the cloves using a fork or tongs, until skins are golden brown. Transfer toasted cloves to a bowl or cutting board to cool. You can easily remove the skin from the cooled cloves. Mash, mince, or slice as directed by your recipe.